Three Washington state prisons are sites for the Second Chance Pell Pilot Program. Inmates at Mission Creek Corrections Center describe how education changed their lives. BELFAIR – Millions of students across America will be going back to school in the coming weeks. But for some, it’ll be the first time entering a classroom in years. 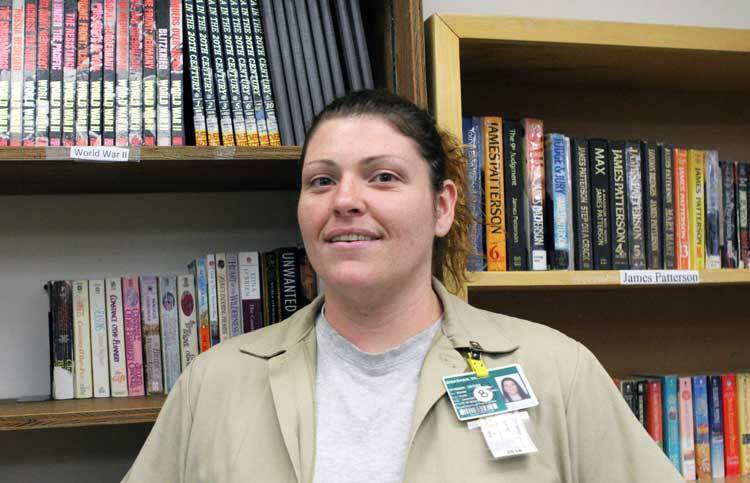 Gwen is one of about 20 inmates at Mission Creek Corrections Center for Women in Belfair, Washington who are enrolled in college classes through Federal Pell Grant funding. Since 1994, inmates have been banned from using Federal Pell Grants to pay for college classes. In 2015, the U.S. Congress enacted a pilot program, known as the “Second Chance Pell.” The program allows select colleges and universities to partner with more than 100 state and federal prisons to provide Pell grants to inmates. Gwen has been incarcerated since 2015 for a vehicular homicide conviction during a drunk driving accident. The mother of four says she can’t change what happened in her past, but hopes getting an education will help her make a positive impact in the community she shattered. She has dreams of earning a degree in business and opening a homeless shelter after her prison release date. Three of Washington state’s correctional facilities are Second Chance Pell pilot sites. In addition to Mission Creek, which is partnered in the pilot with Tacoma Community College (TCC), Cedar Creek Corrections Center in Littlerock is partnered with Centralia College. Additionally, Monroe Correctional Complex is partnered with Seattle Central Community College. So far 87 incarcerated students have participated in the Second Chance Pell pilot statewide, according to Department of Corrections Educational Services Administrator Sarah Sytsma. The main objective of the pilot is to see if having access to Pell Grants encourages inmates to pursue higher education. It also seeks to identify any challenges colleges and universities might face in administering programs to incarcerated students. Dr. Sultana Shabazz, director of correctional education at TCC, says she’s already seen more inmates enroll in classes since the pilot launched. The first cohort of Pell students—about 20-- began taking classes at Mission Creek in January 2018. Shabazz says the pilot is improving inmates’ education quality through a wider variety of offered classes. And it’s also improving overall life quality. Providing federal financial aid for inmates’ education is not a new idea. The Higher Education Act of 1965 allowed inmates to apply for and receive Pell Grants to pay for college courses. In the years after Congress enacted the law, prisons saw a surge of demand for college programs. By 1982, 350 college-in-prison programs enrolled nearly 27,000 inmates, according to the American Enterprise Institute for Public Policy Research. By the early 1990s, an estimated 772 programs were operating in 1,287 prisons nationwide. But the idea of providing federal aid to inmates fell out of favor with many congressional lawmakers during the early 1990s. In 1992, Congress amended the Higher Education Act to prohibit inmates serving life sentences and those on death row from using Pell Grants. Two years later, the Violent Crime Control Act—the largest crime bill passed in the history of the United States-banned all inmates from receiving Pell aid. As a result, the number of college-in-prison programs plummeted. By 1997, only about eight college-in-prison programs existed. Pell grants in prison remained prohibited until the Obama administration. Amid the rising costs of state prison systems, the administration sought to make reforms to the criminal justice system. In July 2015, President Barack Obama announced the Second Chance Pell Pilot Program. By June of 2016, Secretary of Education John King announced the selection of 67 schools that would partner with more than 100 correctional facilities to enroll approximately 12,000 inmates in the program. 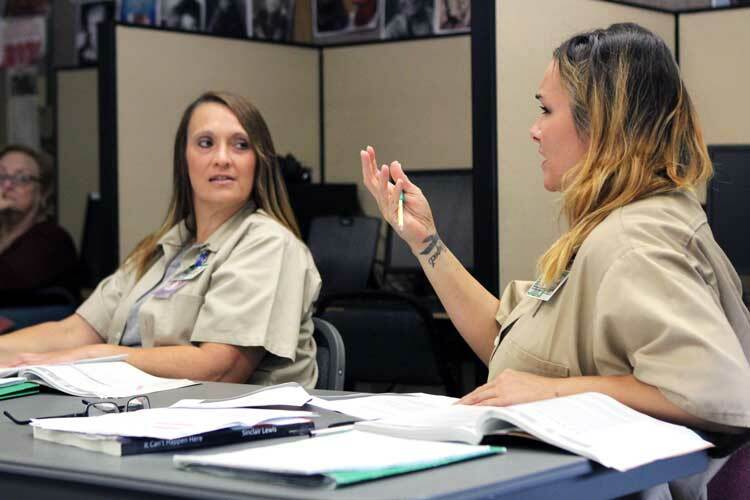 Correctional experts say offering inmates educational opportunities lowers the cost of incarceration and reduces recidivism. 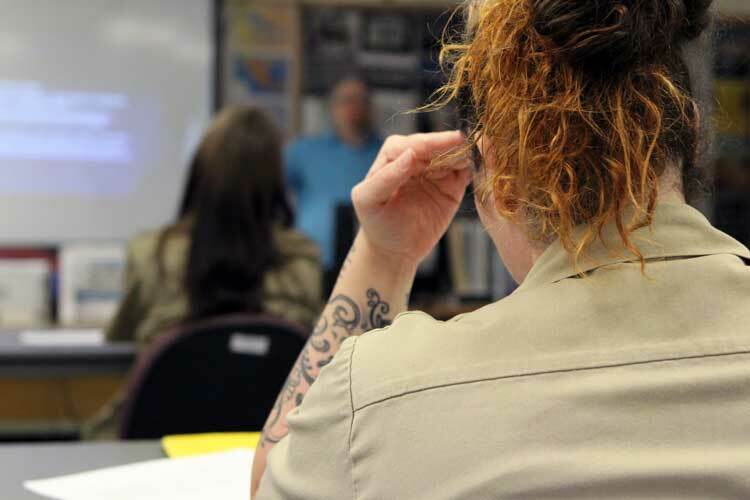 A 2013 report from the RAND Corporation found that inmates who participated in correctional education were 43 percent less likely to return to prison than those who did not. Furthermore, researchers found every dollar invested in correctional education programing sees between $4 and $5 in savings in reduced reincarceration costs. It’s a view shared among correctional educators in Washington state. 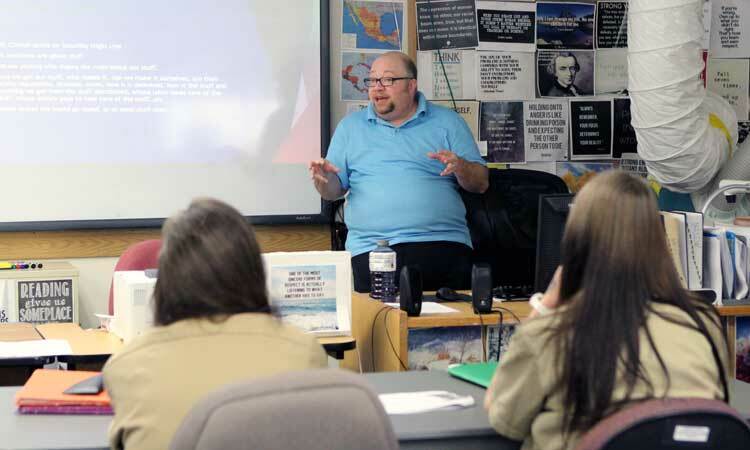 Though incarcerated students at Mission Creek have been enrolled in classes via Pell Grant funding for less than a year, its impact is already being felt. Vanessa, 31, is about to release from prison after serving 36 months on forgery and identity theft charges. She says she’s a changed woman and is ready to make an honest living. She’s finishing up her last quarter of classes at Mission Creek and will be enrolling in on-campus classes at Tacoma Community College after she releases from prison next month. In addition to her Pell Grant, Vanessa recently received a $1,500 scholarship from a private foundation. She has plans to get her associate of arts degree in applied science and wants to open up her own coffee shop in Tacoma. During her time at Mission Creek, she’s met with Emily Jones, TCC’s reentry coordinator. Reentry coordinators meet with inmates who are about to release from prison to help them enroll in local colleges and develop an academic plan. 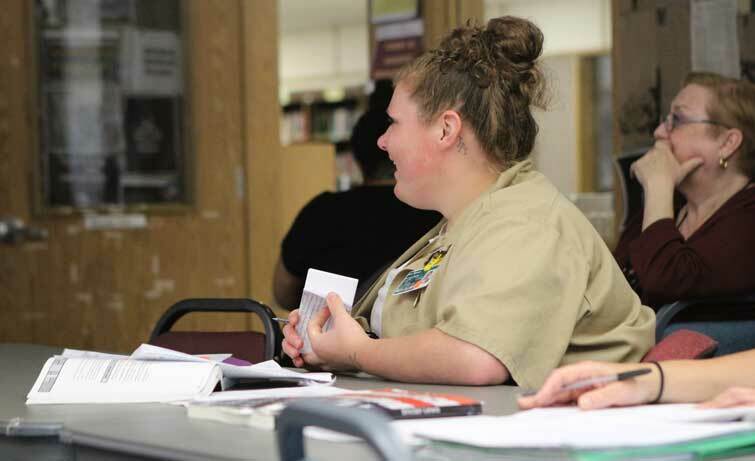 The goal is to make sure inmates leaving prison before their coursework is completed enroll in school to continue their educational goals after reentering the community.